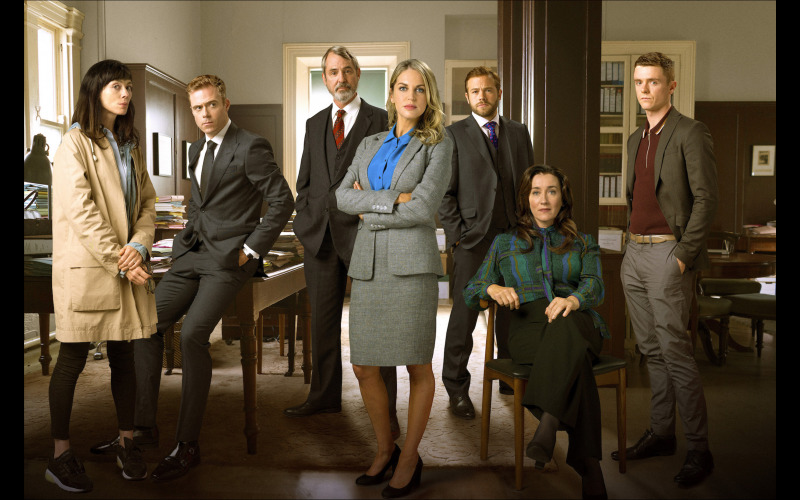 Starring Amy Huberman and Neil Morrissey comes a gripping new legal drama Striking Out. Following its run on new channel 5 Select, Striking Out Complete One and Two Box Set arrives on DVD 23 April 2018 and we have nine copies up for grabs thanks to Acorn Media International. Tara Rafferty (Amy Huberman – Cold Feet) is a high-flying solicitor at a prestigious Dublin law firm, but when she discovers her fiancé and fellow solicitor Eric (Rory Keenan – War and Peace), has been cheating on her with a colleague, she decides to make some big life changes. Dumping her unfaithful partner, she quits her job and sets up on her own practice in a makeshift office, at the back of a café. With the help of her friends and associates, including her streetwise ex-client turned assistant Ray (Emmet Byrne – Red Rock), private detective Meg Riley (Fiona O’Shaughnessy – Utopia), and friend and mentor Senior Counsel Vincent Pike (Neil Morrissey – Line of Duty), Tara becomes a force to be reckoned with. Soon she is taking on high profile cases, some of which pit Tara against her former colleagues and major legal establishment players. Can she ever truly escape her past and make it on her own? Striking Out Series One and Two are also available as individual DVDs. Get on the case with Striking Out.